will give you plenty of ways to use it in your storyboards. 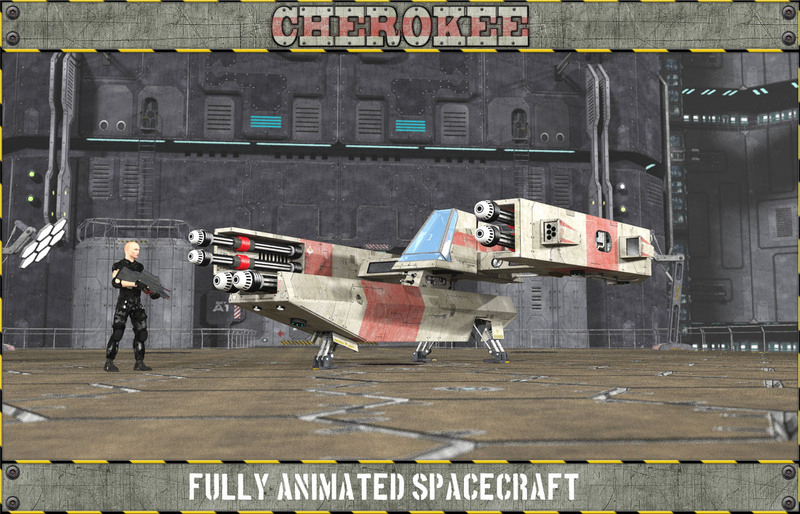 will work as a wonderful privateer ship or as a heavy bomber. Whatever you desire. The middle container is supposed to be the loading area which can be detached from the ship. Rem: Product is build for Poser. Loads OK in D/S with a few limitations. Check ReadMe for more information. Check out our great freebie area for more additions and extras to this set. Align with the squadron, soldier! Here is the second spacecraft of our Armada Series: the XBow. 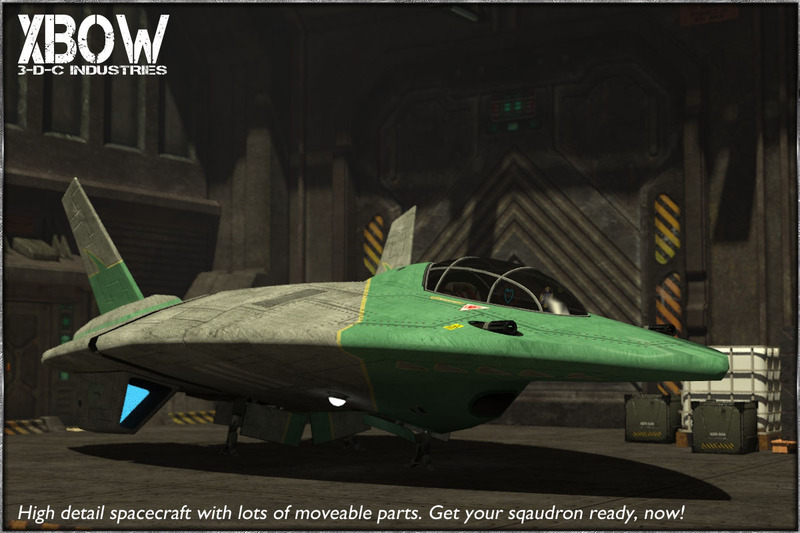 The XBow was once assembled by 3DC Industries as a military, one man spacecraft, build to be hosted majorly on carriers for short range attacks. Meanwhile, the XBOW has made it to become widely spread for loads of others usage, even as a private ship. 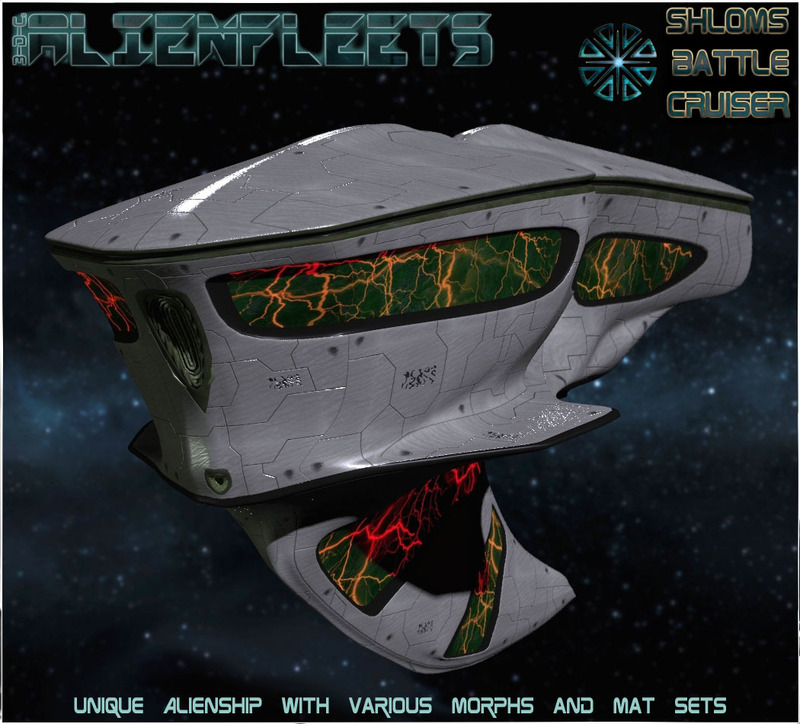 Additionally equipped with jump drives, the XBOW may even be used as a small cargo ship. The Inner Cockpit is separated to bones so you can ie disable the HUD etc. Check out the detail pages. Please also visit our large freebie area for add on stuff. 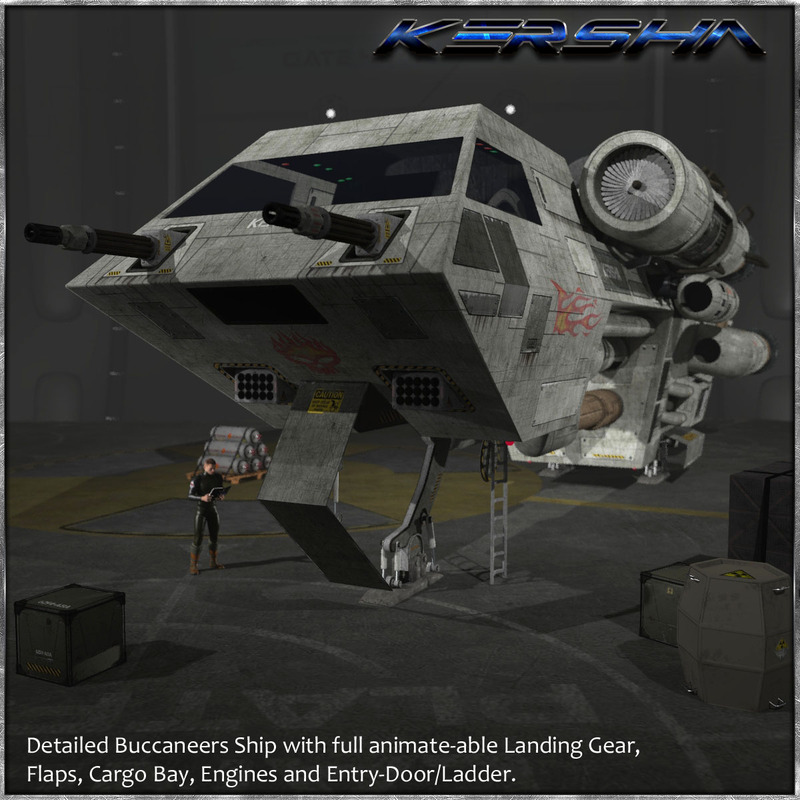 This is the Kersha, the first Ship of our SpaceCraft Series. The Ship comes as a whole Unit. The gear, flaps doors and closings are animate-able. 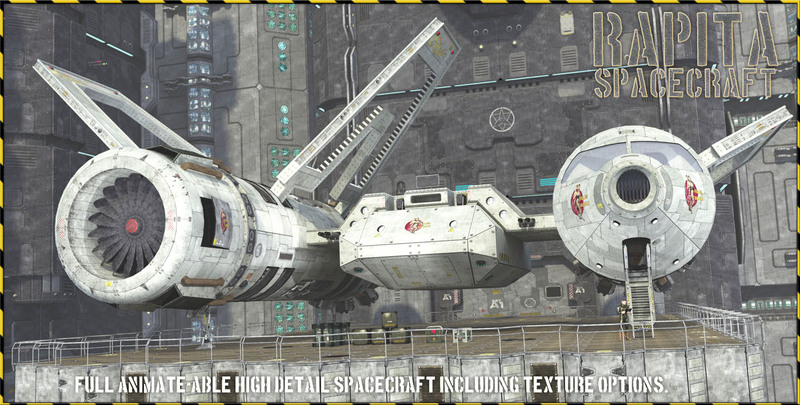 Additional texture for removing the decals included. Landing gear is separated frum hull, so you can use the hull only (saving memory). Ship has been build under the aspect of poly count. Most details are build through the texture.